Panel interviews are anticipated for beginning of JUNE 2019. 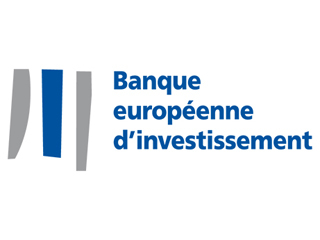 The Project Directorate’s mission is to provide independent economic and technical advice to the EIB’s decision makers on the quality of investment projects submitted to the Bank as well as advising promoters on the development and implementation of projects. Moreover it informs the sector policies of the Bank in line with the pursuit of its overall policy mission. To accomplish its role, PJ is mainly consists of sector specialists (Engineers, Economists, Environmental and Social experts), who work together in multi-disciplinary project teams, and in close cooperation with the other EIB operational services. As the (Senior) Chemical Industry Advisor you will conduct, as part of multi-disciplinary teams, the due diligence of innovative companies within the chemicals and industrial metals industries. You will assess the financial, economic, technical and environmental viability of investment projects and programmes in all countries where the Bank operates, in accordance with the Bank's procedures. You will also contribute to sector studies and/or policy papers in supporting the Bank's sector and lending policies. The Innovation and Competitiveness Department focuses on supporting investments in the knowledge economy and comprises five divisions. As the (Senior) Chemical Industry Advisor you will report to the Head of the Advanced Materials (AM) Division, covering raw materials industries, including extractive industries, metals, other minerals and chemicals. Evaluate the strategic consistency, commercial viability and sustainability of the business model of innovative companies. Assess the technical and economic viability of investment projects and programmes in the relevant industrial sectors, including the assessment of investments in tangible and intangible assets related to Research, Development and Innovation. Prepare sector, policy and methodology papers related to your sector of responsibility in support of the Bank's sector and lending policies. Assist in identifying investments representing new financing opportunities in these sectors. Monitor project implementation, including final evaluation of project completion and further project follow-up when required. Represent the EIB towards corresponding service units in the European Commission, other international bodies and IFIs as well as at selected sector events. A post-graduate academic degree (Master’s or higher degree) in Finance, Economics or Business Administration, or a Master's degree in Engineering, complemented by studies in Economics. A minimum of 5 years relevant professional experience in the Chemicals (petrochemicals; polymers and plastics; speciality chemicals) or Metals sector, gained within an industrial corporate and/or strategy and/or management consultancy firm, with exposure to market analysis would be a distinct advantage. Good knowledge of applied quantitative methods, economic and financial modelling, including cash flow modelling, cost-benefit analysis and risk analysis. Excellent knowledge of English and/or French(*), with a good knowledge of the other. (Knowledge of other EU languages would be an advantage).